An expansion plan by poultry giant Moy Park effectively drove their producers into the RHI scheme in large numbers, the public inquiry has been told. The inquiry heard that between 2010 and 2018 the company aimed to increase its weekly target from four to six million birds. By 2013 it was subsidising 95% of the cost of new poultry houses. Moy Park did this by repaying farmers who took loans from their banks. At the same time, the company began insisting that new and refurbished units be heated using hot water heating systems - a move away from the traditional gas system. The inquiry heard that senior executives were recommending biomass to farmers, highlighting the "great payback" on boilers due to the subsidy. At an event in Carrickmore, County Tyrone, in 2015, Moy Park told its producers they could earn £10,000 a year more if they used biomass in new sheds. Virtually all poultry farmers in Northern Ireland chose biomass boilers to fire their hot water systems. Moy Park estimates that 62% of its producers are on the RHI scheme. One of Moy Park's biggest suppliers, farmer Tom Forgrave, was giving evidence to the inquiry on Friday. The County Antrim businessman produces more than one million chickens a year for the processor and has 10 boilers on the RHI scheme. Inquiry counsel Donal Lunny put it to Mr Forgrave that business decisions by Moy Park had fuelled demand for RHI. "If they are expanding rapidly, if they are requiring indirect hot water heating and if there's an incentive for one type of hot water heating - biomass - rather than gas or oil the effect of these decisions by Moy Park is almost certainly going to drive most poultry farmers, some of them more quickly than others, into the RHI scheme?" Mr Lunny said. He was then asked whether this was something that Moy Park would have known. He agreed with Mr Lunny. Earlier, Mr Forgrave explained how he had come to install 10 boilers in his eight poultry sheds. Single boilers went into six smaller poultry houses. The other four boilers were installed in pairs in each of the two larger units. But all of the boilers were kept on separate heating systems and so qualified for the higher subsidy payments. Had the boilers in the bigger houses been linked together on the same system they would only have been eligible for a much lower subsidy. Mr Forgrave said he had looked at the possibility of linking them but it had not been financially viable. He said the bank would not have lent him the £60,000 to £70,000 he needed over an eight-year term on the returns provided by the lower subsidy rate. He rejected any suggestion that he had set up the system on his farm to maximise subsidy returns. "The word lucrative at no point crossed my mind," he said. Inquiry chair Sir Patrick Coghlin said he was not criticising Mr Forgrave for his business decisions. Panel member Keith MacLean said it would have been tough to persuade banks to lend the money upfront over five years, whatever about the "theoretical returns" over the remaining 15 years of the RHI subsidy scheme. Later Mr Forgrave was asked about his own subsidy payments. In the first three years he'd received £750,000. Mr Lunny said that meant he had already been paid back twice the capital cost of his 10 boilers. Mr Forgrave said the calculation was overly simplistic and did not take account of the additional service costs and the extra fuel and electricity involved in running the equipment. He also said RHI recipients had not set the tariff but had signed up in good faith to a government scheme. The inquiry also touched on allegations of abuse in the poultry industry. Inquiry counsel Donal Lunny said internal Moy Park emails showed the company was concerned about producers overheating their birds or generating unnecessary heat which was ventilated out of the sheds. Mr Lunny referred to one email which talked about Moy Park "catch teams" - sent in to retrieve the birds - having to change their tops four times in one night because of the temperatures they were working in. Mr Forgrave said he was aware of one instance where that had happened on someone else's farm, but it had been a mistake which had not been repeated. He said if people were abusing the scheme he was not aware of it and would not support it. 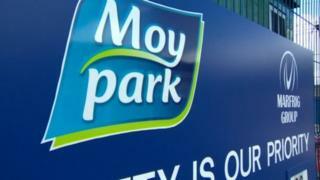 The inquiry also heard details of the complex pricing structure Moy Park used to pay its suppliers. The system, based on an industry costs average, meant that if poultry farmers wanted to stay competitive they had to adopt biomass heating to keep up with efficient farmers who were early adopters. The pricing structure also meant that the financial benefits of switching were quickly whittled away by a system of in year price cuts applied by Moy Park on a quarterly basis. Mr Forgrave said Moy Park was winning "both ways". He said they were not paying farmers their full fuel costs and when biomass improved productivity, the system of price adjustments lowered the selling point of the birds. "I don't think there's anything in the scheme when it was launched that said this was intended to be a major subsidy to the poultry producing industry or to a particular company," said panel member Dame Una O'Brien. Mr Lunny said the company would be appearing before the inquiry next week when it would be asked whether it "had been a significant indirect beneficiary of the scheme or not".